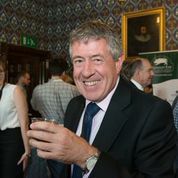 On the 10th June I had the opportunity to sample a wonderful variety of food and drink from Hampshire producers at a fare event in the House of Commons. The reception was organised by Hampshire Fare and my neighbour MP Caroline Nokes, in Romsey and Southampton North. Gatherings like this are an important way to promote our excellent local businesses to representatives from all over the UK.